TEL AVIV – A new report from the Emirati news website Al-Khaleej Online has revealed that many of the mercenaries leading the assault against the Yemeni port city of Hodeida were trained in Israel by Israeli soldiers, shedding light on Israel&apos;s covert role in the war in Yemen. According to U.S. officials close to the House Intelligence Committee with knowledge of the operation, hundreds of mercenaries from various nationalities that fight on behalf of the United Arab Emirates (UAE) in Yemen had recently received "instance combat training" at training camps in the Negev desert that were created through a secret agreement was reached between the UAE and Israel. Mercenaries at the camp were trained under the "personal supervision" of the Israel Defense Forces (IDF). 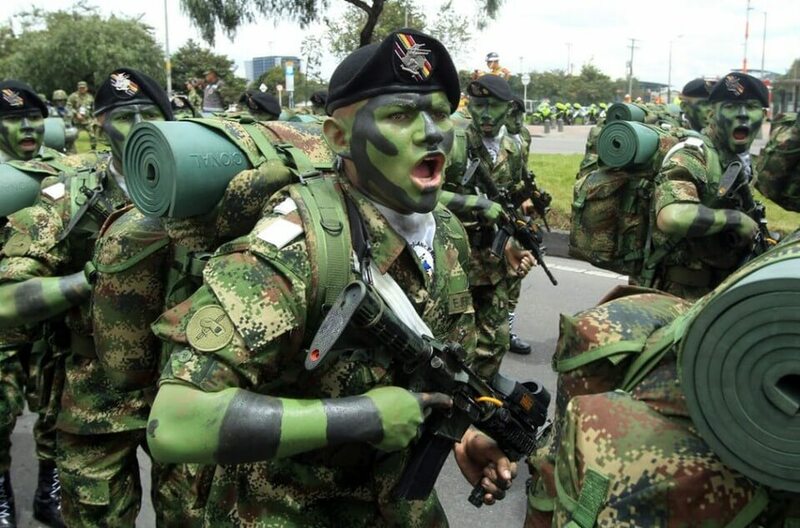 The camp&apos;s creation was spearheaded by UAE Security Adviser Mohammed Dahlan, who has personally overseen the recent hiring of a fresh force of foreign mercenaries, the majority of whom are Colombian or Nepalese, to fight on the UAE&apos;s behalf in Yemen. The report noted that Dahlan had personally visited the training camps in Israel on more than one occasion in order to supervise the training received by mercenaries from the IDF. Al-Khaleej&apos;s sources also stated that Dahlan had chosen the Negev desert as the site for the camps due to the similarities the region shares with Yemen in terms of its climate, environment and tribal structure. These mercenaries, trained at IDF-led camps in Israel and funded by the UAE, are now leading the renewed assault on the Yemeni port of Hodeida, which began earlier this week on Tuesday. The UAE/Saudi Arabia coalition had previously launched an assault in Hodeida in June but that effort failed to make headway despite the coalition&apos;s superior firepower. The new assault was launched after the coalition recently succeeded in cutting off the main road between Hodeida and the Yemeni capital of Sana&apos;a. Over 90% of Yemen&apos;s food is imported through Hodeida, prompting the UN and several NGOs to warn that any disruption to food and fuel supplies coming through the Hodeida port "could cause starvation on an unprecedented scale" as the country&apos;s humanitarian crisis – a direct consequence of the coalition&apos;s actions – is now more dire than ever. In addition, paperwork seized by the Saudi Embassy in the Yemeni capital of Sana&apos;a that same year revealed that the U.S. was seeking to build a military base near Yemen&apos;s Bab al-Mandab strait in order to "ensure the security of Israel", suggesting a strong motive for the U.S.&apos; and Israel&apos;s support for the coalition. Al-Khaleej Online had previously reported that Israel had covertly sold weapons and ammunition to the Saudis, including internationally prohibited weapons that have since been used in the coalition&apos;s brutal bombing campaign in Yemen that consistently targets civilian infrastructure. Just last month, 43% of the coalition&apos;s targets were civilian structures, despite the fact that the U.S. now directly aids the coalition in choosing its strike targets as part of an alleged effort to reduce civilian casualties in the war. While Israeli involvement in the war in Yemen has thus far been covert, Israeli Prime Minister Benjamin Netanyahu ]stated last month that he would consider sending Israeli troops to Yemen to fight on behalf of the Saudi-led coalition if the Yemeni resistance gained control over the strategic Bab al-Mandab strait, which serves as a chokepoint on Saudi oil exports and other important Red Sea commerce. Given Israel&apos;s support for countries involved in genocidal wars in the past and its own treatment of Palestinians, it is unlikely that Israel&apos;s government would feel constrained by any moral dilemmas if it chose to formally join the coalition&apos;s war in Yemen despite the humanitarian crisis that war has provoked. The humanitarian crisis in Yemen, considered the worst in the world, has brought 17.8 million Yemenis to the brink of starvation including 5.2 million children. In addition, 66,000 children in Yemen die annually from preventable diseases due to the coalition&apos;s blockade of Yemen which has also allowed the worst cholera outbreak in history to proliferate. Despite the huge death toll that has resulted from the coalition blockade and airstrikes, the "mastermind" of the conflict, Saudi Crown Prince Mohammad bin Salman, has vowed to continue to target Yemeni civilians, including women and children, in order to "leave a big impact on the consciousness of Yemenis [for] generations."